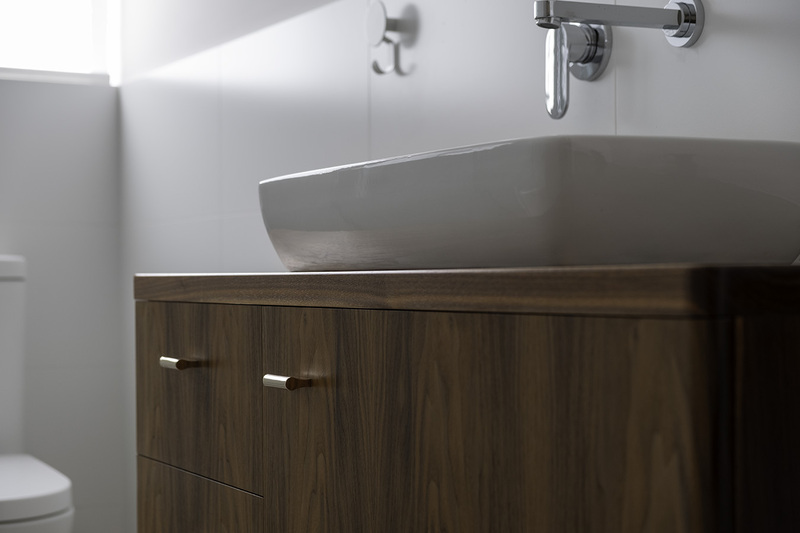 A floating bathroom cabinet shaped to reflect the fittings and fixtures of the bathroom. 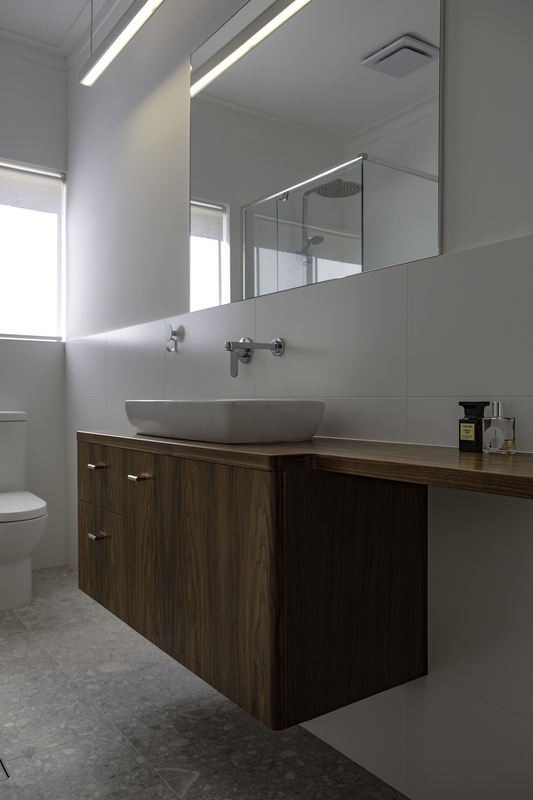 Fitting in to a narrow space, the top flows through to the doorway allowing for additional bench space whilst still providing enough depth for a generous basin. Can be custom made in various dimensions, timber and veneers. Beautiful solid brass hardware compliments the American Black Walnut.